1回目: 2016年7月15日㈮～16日㈯. Click HERE to join. 2回目: 2016年7月27日㈬～28日㈭. Click HERE to join. 3回目: 2016年8月16日㈫～17日㈬. Click HERE to join. Click HERE for email addresses! We are writing to you to give a voice to those that are voiceless from around the world. 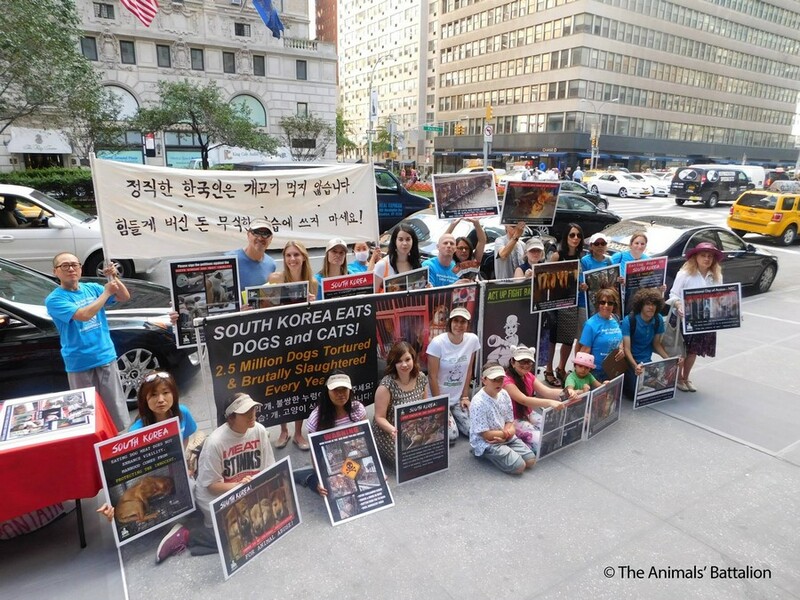 We urge you to put an end to the senseless slaughter of thousands of dogs for the Korean meat trade immediately. These intelligent, loving and loyal companions are not ours to abuse, neglect or slaughter. They entrust us to care for, and to love them unconditionally, as they love and serve us unconditionally. It is with good reason that they are known as ‘man’s best friend’. They are our companions, our guardians, our family members and for those dogs in working service, they can be our guides when we cannot see, our valuable colleagues and partners in a multitude of roles and our protectors and saviors in an array of life threatening situations. The government has the power and the ability to put an end to this highly controversial and shameful practice. We ask you to consider this, do you want the world to think of South Korea as a nation of companion animal abusers, out of touch with the shared compassion, beliefs and latest scientific thinking of other leading counties? An uncivilized, backwards-looking country whose people are often discriminated against because of the illegal and unregulated practices of dog meat traders and those who consume dog meat? Until this horrific practice is actually stopped for good by those in power, we pledge to boycott all South Korean products, services and tourism, and we will to continue our fight to save these amazing animals. I am a member of a high profile animal rights initiative with global reach and support, our members and supporters are deeply concerned and repulsed at the continuing trade in dog meat for human consumption in South Korea. I strongly urge the South Korean government to take immediate and meaningful action against this barbaric trade through any and all means. Until meaningful action is taken by the South Korean Government and fundamental changes made to end this incredibly cruel trade, I pledge to boycott all South Korean made products and services (including all forms of tourism).